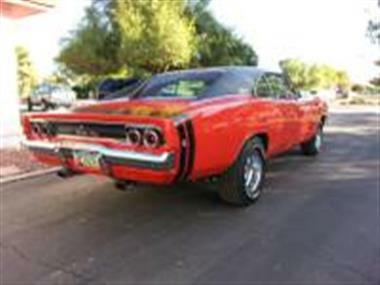 1968 Dodge Charger in Gilbert, AZ for sale. 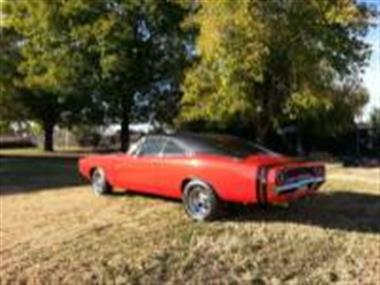 Super clean and desirable 1968 Dodge Charger (RT Tribute Car) with a powerful 440ci 6-pack (originally a 383 big block car) , 4-speed trans, dana 60 and factory air! 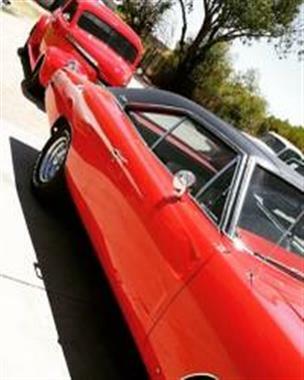 Recently rotisserie restored with beautiful paint in red with black vinyl roof and flawless white leather interior. 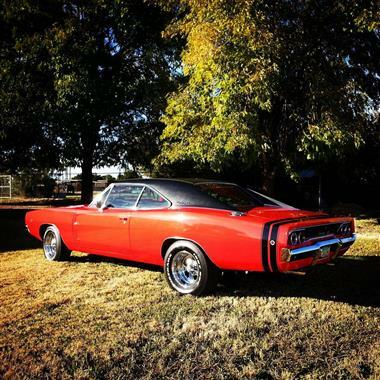 Factory-installed floor pans, rocker panels and other body parts still sport the original factory welds and reveal that this was a fine car even before its impeccable restoration. 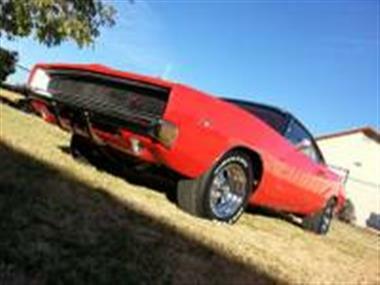 Body lines all fit straight with no uneven gaps, working headlight doors, and the doors, trunk and hood all close nicely. 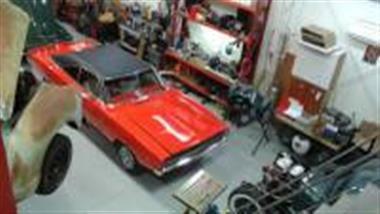 Car can be viewed and inspected on a lift by you or your inspection agent. Newly restored dash pieces and door panels just installed. 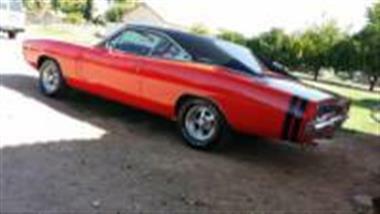 New radiator and battery make this ride ready to roll to your next cruise night! 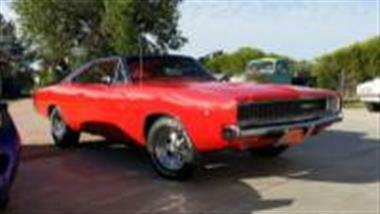 This vehicle is priced $14,656 less than the Average Market Price of $77,556 for a 1968 Dodge Charger. This is a Good Deal as it's priced 19.0 % below market avg. The Pie chart below shows the number of ads within different price ranges.